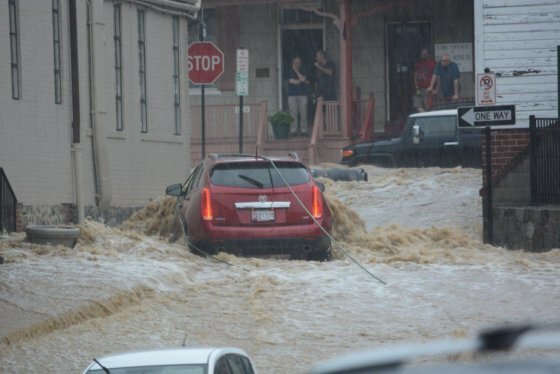 WASHINGTON — Five weeks after historic Ellicott City, Maryland, was flooded for the second time in two years, the National Weather Service office in Sterling, Virginia, has completed its first comprehensive review of the astonishing rainfall totals causing it. The report showed two distinct rounds of exceptionally heavy rainfall during a roughly four-hour period, beginning just after 3 p.m. and lasting until just after 6 p.m. The report focused on a weather station at the Howard County government facility off Ellicott Mills Drive, located less than a mile from Main Street. The gauge recorded torrential rainfall rates in 0.04-inch increments. The gauge showed that in just one hour, 2.68 inches of rain fell between 3:20 and 4:20 p.m. During the height of the second round of rain between 5 and 6 p.m., the gauge recorded 2.84 inches. The highest 30-minute incremental rain tally was 1.84 inches. In 15 minutes between 4:06 and 4:21 p.m., an astonishing 1.44 inches was recorded; more than half an inch falling in just five minutes within that time span. Buildings were inundated by water, roads were torn apart, and one person was killed after being swept away. Forecasts anticipated a severe event: A flash flood watch had been issued nearly 12 hours before the first drop of rain fell in Ellicott City. The report found, however, that all of the incremental rainfall rates observed during the most recent flood were slightly lower than those recorded by the same weather station during the 2016 event. The downpours led to sharp rises in the tributaries leading toward the Patapsco River. A stream gauge on the Hudson Branch showed two surges of water during both rounds of rain, with the latter cloud burst sending the stream into major flood stage just before 6 p.m. At one point, the water level rose 5 feet in 24 minutes, the report found. The weather service is working alongside Howard County officials and FEMA to deploy several stream gauge sensors in the small watershed. “Those observations will help us to even better foresee these events as they are developing,” said Chris Strong, meteorologist with the National Weather Service. Heavy rain was forecast days in advance of the flooding. In addition to the issuance of a flash flood watch well in advance of the rain, a flood warning was issued for the surrounding areas at 3:19 p.m. as the heavy rain was beginning to fall. At 4:26 p.m., a flash flood warning was issued with a flash flood emergency declared 14 minutes later. 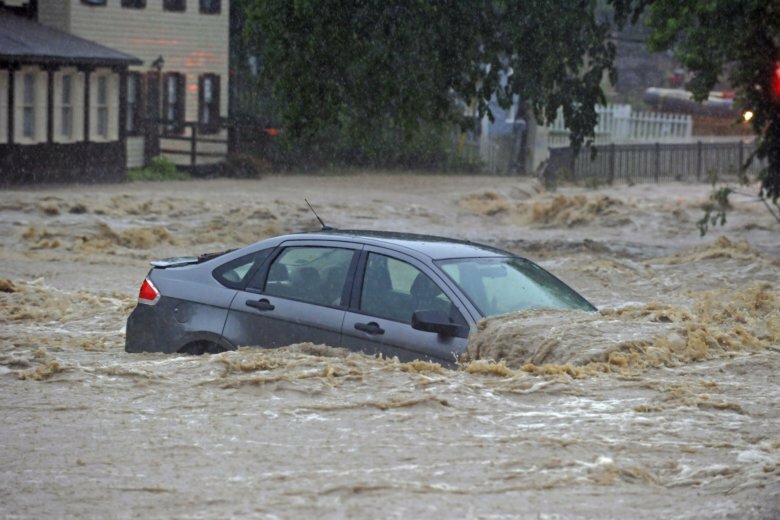 “There is no place in our forecast area that is more susceptible to life and death flooding from a heavy rain event in our area than (Ellicott City). Anytime in particular that there are fatalities, it saddens us. We’re constantly working towards improving everything we do,” Strong said.